This book provides an excellent resource for understanding the forces in international trade liberalization over two centuries that have brought us to this point, where the successes, setbacks and the countervailing forces now vie for the public's mind and support: the outcome of which will determine the future progress of increased globalization, or lack thereof. 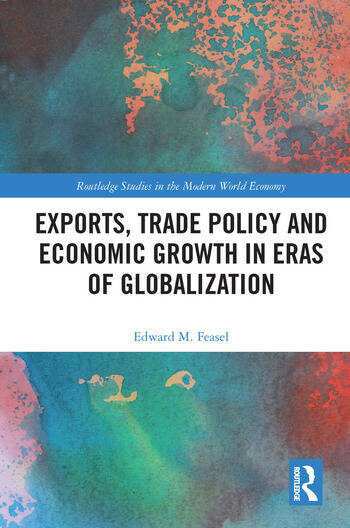 The book also examines whether trade policy has indeed promoted exports in the vast number of countries which increasingly look to trade agreements to gain a competitive edge, and to what extent export-driven growth has been an important force in advancing economic development around the world. In doing so, the book examines one of the most controversial issues in economic development: the promotion and significance of export-led growth. Edward M. Feasel is the Vice President for Academic Affairs and Professor of Economics at Soka University of America, USA. He received his bachelor's degree in Economics from Yale University and completed his doctoral degree in Economics from the University of California, Berkeley. His research interests are in economic outcomes and societal values, regional economic issues, the Orange County economy, economic growth and its relation to development assistance and trade, and effects of monetary and fiscal policy. He is the author of Japan's Aid: Lessons for Economic Growth, Development and Political Economy.